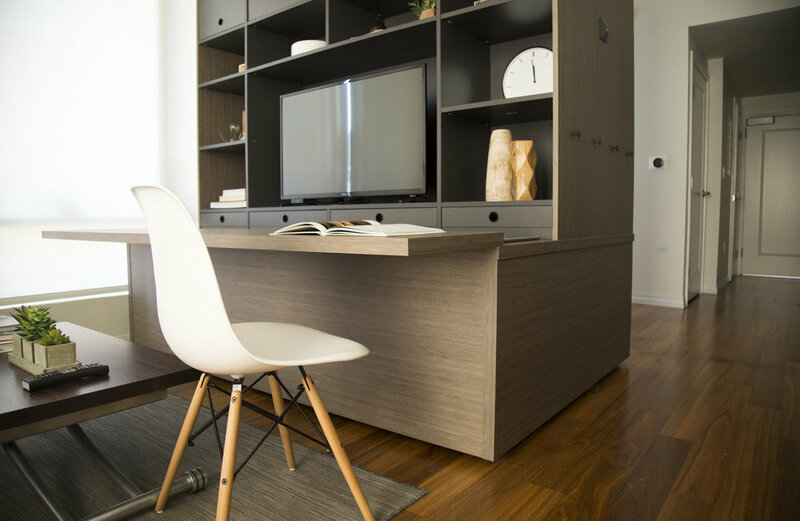 The Ori Studio Suite redefines the idea of compact urban living. The Ori Studio Suite allows you to reconfigure your space at the touch of a button, creating a cozy sleeping room when you need it, and opening up the living area when you don’t. Plus the Ori Studio Suite provides ample storage space .